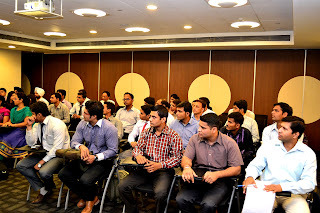 INLEAD conducted an Industry expert session for the newly commenced April 2013 Batch. The workshop was delivered by Ms. Swati Sinha- Manager HR, Cheil India Pvt. Ltd (A Unit Of Samsung India). 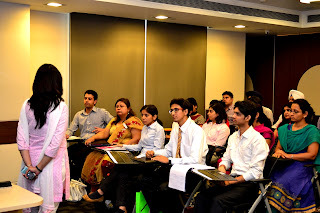 The topic for the session was Corporate Expectations where she briefed the students on the roles & responsibilities of a corporate and its role in an individual’s growth. The lecture started with an explanation on Business v/s Corporates. The students were enrooted with main type of businesses in private sector that primarily involves large, medium & small scale companies. During her interaction with the students various departments such as Client Servicing, Business Development, Creative, Support function, Production/Operation, Planning were explained citing various examples from the industry. 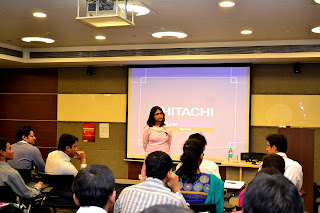 In the session Ms. Swati highlighted on the corporate expectations such as mentation, communication skills, business awareness, team work, leadership & followership, learning from chaos etc. Students were also guided on importance of organization in an individual’s growth and why do companies prefer to hire people who have done specialized courses that implicate skill based learning. The company’s ways of finding the ‘right fit’ was another topic of discussion focusing on behavioral techniques and technical ways. The discussion also involves “How to decide which company is right for you” was another confabulation by the expert taken on with the students. To conclude, the lecture gave a holistic overview of what the industry expects of as potential employers, exemplifying each element.